40th SSC (Technical) Men : (52) .From the various Engineering streams. 11th SSC (Technical) Women : (35) . From the various Engineering streams. Age limits: An age limit of 20-27 years for Technical men and women and 19-29/20-31years for Widows of Defense Personnel. 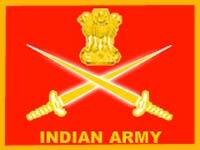 Eligible candidates should apply online at the Army recruitment website http://joinindianarmy.nic.in within the application period i.e, from 01/08/2012 to 31/08/2012 only. And send it along with all the relevant documents as mentioned in the details given on the recruitment page ,the filled in application forms as per the prescribed format, to the following address by registered post/ speed post only to Additional Directorate General of Recruiting (Rtg-6), TGC Section, West Block-III, R.K. Puram, New Delhi - 110066. Application deadline: Completed applications must reach the above address well before 14/09/12. Please visit The Indian army recruitment website( http://joinindianarmy.nic.in ) for further details and resolution of queries. For more Army Recruitment and other Police/Force jobs follow us.